Here's the most popular post by total views. 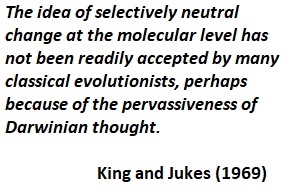 It attracted a number of people who attempted, rather unsuccessfully, to defend evolutionary psychology. Is evolutionary psychology a deeply flawed enterprise? You may disagree with these criticisms of evolutionary psychology but there's no denying that the discipline is under attack. In fact, it's hard to think of any other academic discipline whose fundamental validity is being questioned so openly. The post with the most comments generated a lively discussion about Neutral Theory and Nearly-Neutral Theory and I learned a lot. One of my posts that took a lot of work is also one that I think is pretty informative. 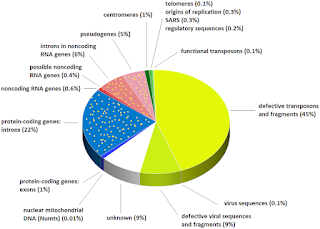 How many protein-coding genes in the human genome? There are many ways of predicting protein-coding genes using various algorithms that look for open reading frames. The software is notorious for overpredicting genes leading to many false positives and that's why every new genome sequence contains hundreds of so-called "orphan" genes that lack homologues in other species. When these predicted genes are examined more closely they turn out to be artifacts—they are not functional genes. I figured out how to do pie charts and how to represent the overlapping categories of junk DNA (e.g. 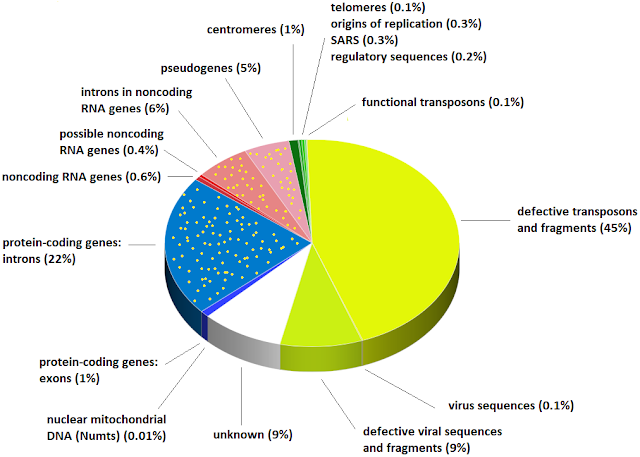 defective transposons within introns). You can see my first attempt in the figure at the top of the page but watch for an update in the post below. Looking forward to that book, by the way. Your first name is clearly Hugh.